1. Did I notice any secretions today? The symptothermal method is a combination of methods. The two most commonly used are the BBT method and the cervical mucus method. Other methods or signs can be used, such as the Standard Days method, as a double check to identify when the fertile time begins and ends. Using fertility awareness to prevent pregnancy does not protect against sexually transmitted infections, including human immunodeficiency virus (HIV). Fertility awareness-based methods may not be a good choice if you are at high risk of getting a sexually transmitted infection. These methods also need the cooperation of your male partner. 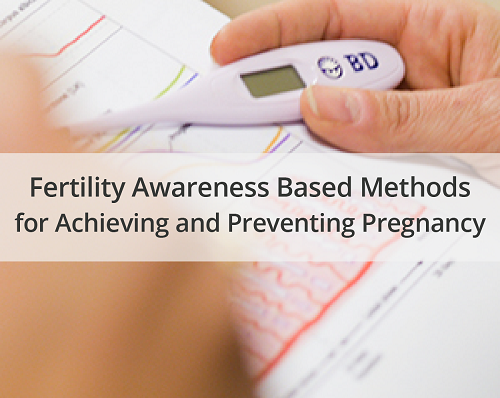 If you are interested in using fertility awareness to prevent pregnancy, it may be best to learn the method from a qualified teacher or group. Your healthcare provider or your state or county health department may be able to provide you with information about where to find a teacher. Tools such as smartphone apps and websites also are available to help you record information about your menstrual cycle and calculate your fertile periods. Barrier Method: Contraception that prevents sperm from entering the female reproductive system. Fertility Awareness: Predicting when a woman is most fertile based on signs and symptoms of ovulation or on a standard rule of when the fertile period occurs during a typical menstrual cycle. Ovary: One of a pair of organs in the female reproductive system that contain the eggs released at ovulation and produce hormones. Symptothermal Method: A fertility awareness method that uses temperature and other signs and symptoms of ovulation to predict the fertile period in a woman’s menstrual cycle. FAQ024: Designed as an aid to patients, this document sets forth current information and opinions related to women’s health. The information does not dictate an exclusive course of treatment or procedure to be followed and should not be construed as excluding other acceptable methods of practice. Variations, taking into account the needs of the individual patient, resources, and limitations unique to the institution or type of practice, may be appropriate.